A team of researchers from Harvard and the UC San Diego uncovered the secrets of Chinese censorship by creating their own social network. 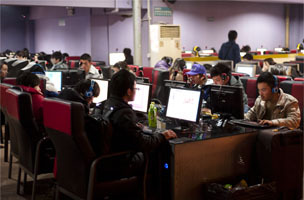 The Great Firewall has been in operation since 2009 in China, when the government clamped down on social media posting. The firewall has reached mythic standing, but a team of researchers from Harvard and the University of California San Diego managed to crack the firewall and examine it by creating their own social network and following the rules. They collected posts as they appeared, before censors got to them, and then checked later to see how they had been altered. They created profiles on China’s social sites, and observed how randomly posted content was censored. They created their own social network, acquired popular censorship technology and reverse engineered the system. The main discovery from the research was that criticisms of the government, especially of local officials, were allowed to stand. Inciting others to action seem to be the biggest sticking reason for censorship. Chinese people can write the most vitriolic blog posts about even the top Chinese leaders without fear of censorship, but if they write in support of or opposition to an ongoing protest — or even about a rally in favor of a popular policy or leader — they will be censored. The actual tools available for censorship range from IP bans, automated keyword flagging and auditing posts on certain days or certain hours, to batch post deletions. The researchers also found that because of the nature of the methods — e.g. many censors manually viewing flagged posts — the government is able to listen to criticisms. China’s methods of censorship largely manage to obscure the fact that censorship is happening at all. Given that implementation is different across each network, the possibility exists for messages to be left alone on one network and removed from others. While the study has found some interesting details, it may be some time before the true extent of the firewall is understood.